I have just been reading parts of the debate at Vatican II on the sections of Dei Verbum dealing with Apostolic Tradition. Ratzinger summarizes the debate in his commentary, and now I have read translations of some of the actual speeches of the council fathers. Part of the debate is quite similar the discussion that has been going on in the comment thread of my post on unwritten Tradition. I have been defending there the account of Tradition developed by by Pope Benedict XVI long before he became pope. He understands Tradition as “the living process whereby the Holy Spirit introduces us to the fullness of truth and teaches us how to understand what previously we could still not grasp (cf. Jn 16:12-13),” and the “remembering” by which the Church “can come to recognize what it had not caught sight of previously and yet was already handed down in the original Word.” Aelianus and Thomas Cordatus have been objecting that Ratzinger’s account seems dangerously close to the modernist idea of continuing Revelation. They insist that Tradition must be the handing on of definite ideas, though not in set formulas. The Divine Revelation, which we must accept with that faith which we owe to God alone, was completed with the death of the last Apostle, which the historical tradition tells us was the Apostle John. For, on the night before His death, Jesus said to His Apostles gathered in the cenacle: “I have yet many things to say to you, but you cannot bear them now. When the Spirit of truth comes, he will guide you into all the truth.” These words are as clear as the sun. If the Holy Spirit will teach the Apostles all truth, then one cannot expect any more truths after the time of the Apostles which could be part of the depositum revelationis […] The draft says of Tradition that it lives and grows. These words the Council of Trent borrowed from Vincent of Lerins; but here in this draft the words of Trent are sadly mangled and abbreviated. Therefore I beg, for the love of truth, that the witness of Trent might be quoted in full: Hence, too, that meaning of the sacred dogmas is ever to be maintained which has once been declared by Holy mother Church, and there must never be any abandonment of this sense under the pretext or in the name of a more profound understanding. May understanding, knowledge and wisdom increase as ages and centuries roll along, and greatly and vigorously flourish, in each and all, in the individual and the whole Church: but this only in its own proper kind, that is to say, in the same doctrine, the same sense, and the same understanding. I will boldly speak my mind, venerable fathers […] the draft presented can scarcely be reconciled with the magnificent teaching of Trent. [For we read in the draft that] Tradition grows not only through contemplation […] but also through the interior experience of spiritual things. Such experience seems at least hardly distinguishable from the “religious sense” that the courageous defender of the Catholic Faith, Pope St. Pius X, condemned in his encyclical Pascendi Dominici Gregis. The root of this schismatic act can be discerned in an incomplete and contradictory notion of Tradition. Incomplete, because it does not take sufficiently into account the living character of Tradition, which, as the Second Vatican Council clearly taught, “comes from the apostles and progresses in the Church with the help of the Holy Spirit. There is a growth in insight into the realities and words that are being passed on. This comes about in various ways. It comes through the contemplation and study of believers who ponder these things in their hearts. It comes from the intimate sense of spiritual realities which they experience. And it comes from the preaching of those who have received, along with their right of succession in the episcopate, the sure charism of truth”. [This Gospel] our Lord Jesus Christ, the Son of God, first promulgated with His own mouth, and then commanded to be preached by His Apostles to every creature, as the fountain of all, both saving truth, and moral discipline; and seeing clearly that this truth and discipline are contained in the written books, and the unwritten traditions [in libris scriptis et sine scripto traditionibus] which, received by the Apostles from the mouth of Christ himself, or from the Apostles themselves, the Holy Ghost dictating, have come down even unto us, transmitted [traditae] as it were from hand to hand. Usually the first stational altar in the Corpus Christi Procession is in the courtyard of the Hochschule, but this year, on account of construction work there, the firt altar was at the huge mosaic-sundial which is a monument to Vatican II’s teaching on religious liberty. Thus giving a kind of visual representation of Dignitatis Humanae-as-read-with-a-hermeneutic-of-continuity. I confess to finding this slightly amusing. Remember what Trent says about Corpus Christi processions? The holy Synod declares, moreover, that very piously and religiously was this custom introduced into the Church, that this sublime and venerable sacrament be, with special veneration and solemnity, celebrated, every year, on a certain day, and that a festival; and that it be borne reverently and with honour in processions through the streets, and public places. For it is most just that there be certain appointed holy days, whereon all Christians may, with a special and unusual demonstration, testify that their minds are grateful and thankful to their common Lord and Redeemer for so ineffable and truly divine a benefit, whereby the victory and triumph of His death are represented. And so indeed did it behove victorious truth to celebrate a triumph over falsehood and heresy, that thus her adversaries, at the sight of so much splendour, and in the midst of so great joy of the universal Church, may either pine away weakened and broken; or, touched with shame and confounded, at length repent. Klaus Obenauer is one of very few German academic theologian who is also a strict Thomist. Recently he has written some rather interesting things on the question of the reconciliation of the Society of St Pius X (FSSPX) and the Holy See. 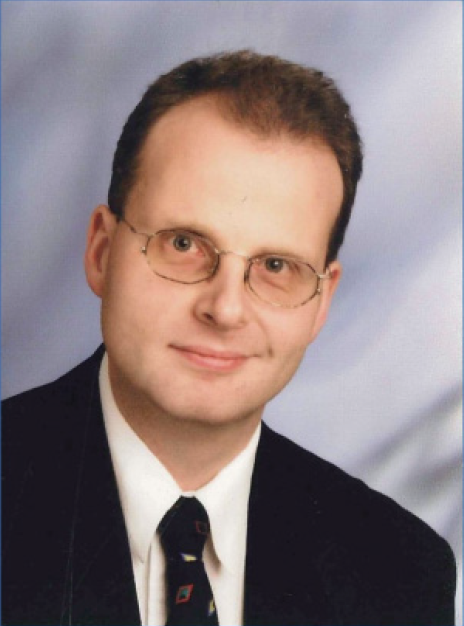 A lecturer at the University of Bonn, Obenauer used to be assistent to Prof. Karl-Heinz Menke. When Menke gave an interview in which he said that a reconciliation was impossible and implied that that was a good thing, Obenauer answered with an impassioned article arguing that it was both possible and urgently necessary. The latest CD from my monastery’s record label (www.obsculta-music.at) is meant in part to promote a more faithful implementation of the Second Vatican Council’s document on the liturgy. The following is a translation of my confrere Pater Karl Wallner’s preface to the CD booklet. The enthusiastic reception of our CDs shows the timeless fascination of Gregorian chant, which has been moving souls for over 1000 years. The calm melodies allow both singers and listeners to plunge into the sphere of the mystery of God. The texts are taken mostly from the Bible. We sing the Word that God has spoken to us back to Him. Chant is not simply song; it is divine worship. Therefore in the Cistercian Abbey of Heiligenkreuz we sing Gregorian chant only during the Liturgy, especially during the Holy Sacrifice of the Mass. 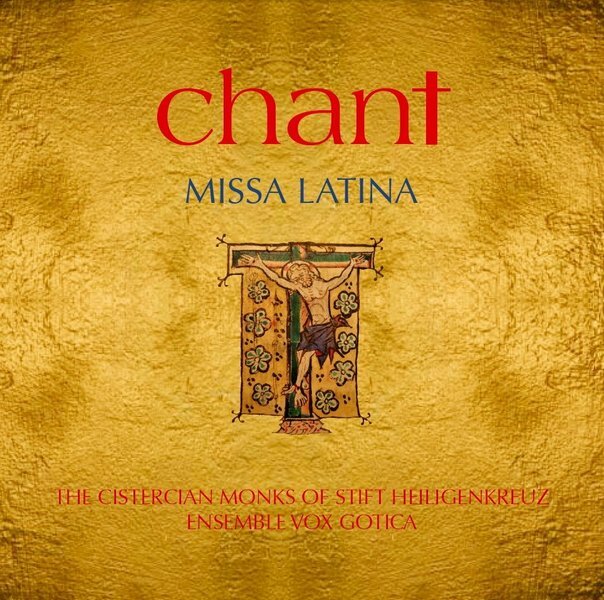 “Chant – Missa Latina” is meant not only as an “advertisement” for the beauty of God – we are certain that all who hear this chant, whatever their faith, will be moved by the Eternal Splendor – but this CD is also meant as an “advertisement” for the Holy Sacrifice of the Mass, which, as the Second Vatican Council (1962-1965) taught, is “source and summit of the Christian life” (Lumen Gentium 11). But, dear listeners, one can of course simply listen to this CD and be moved by the beautiful music. The beauty of music of itself gives glory to God – as the Ensemble Vox Gotica shows so well with the “Missa Sine Nomine.” May God bless all who listen to this CD! Father Karl Wallner, O.Cist., October 11, 2012.
at the root of all their fallacies on social questions, lie the false hopes of Sillonists on human dignity. According to them, Man will be a man truly worthy of the name only when he has acquired a strong, enlightened, and independent consciousness, able to do without a master, obeying only himself, and able to assume the most demanding responsibilities without faltering. Such are the big words by which human pride is exalted, like a dream carrying Man away without light, without guidance, and without help into the realm of illusion in which he will be destroyed by his errors and passions whilst awaiting the glorious day of his full consciousness. This conception of human dignity is exactly what Charles de Koninck calls “personalism” (in the subtitle of his book On the Primacy of the Common Good: Against the Personalists): “personalism” in this sense is defined as the assertion of the primacy of “personal,” private goods over the common good of a community. The common good, for the personalist, is merely instrumental, the sum-total of those conditions which allow the person to realize his own dignity. When those in whose charge the common good lies do not order it explicitly to God, is society not corrupted at its very root? […] Political prudence rules the common good insofar as the latter is Divine. For that reason Cajetan and John of St. Thomas held that the legal justice of the prince is more perfect than the virtue of religion.Undoubtedly the reasons why we are ignorant of the common good are the very same ones on account of which we are ignorant of political prudence. “We have too long been in error concerning the role of the intellect. We have neglected the substance of man. We have believed that the virtuosity of low souls could assist in the triumph of noble causes, that clever selfishness could lift up the spirit of sacrifice, that aridity of heart could, through the wind of discourse, found fraternity or love.” The intellect has succumbed to the senses, to the senses riveted to the singular good. The conflict which exists between man and society does not come from the perfection of the person, nor from a supposed common good which is contrary to the person; it comes properly from the sensible part of man, from the revolt of this inferior part of man against the good of the intellect. […] The common good, and not the person and liberty, being the very principle of all law, of all rights, of all justice and of all liberty, a speculative error concerning it leads fatally to the most execrable practical consequences. Even the pagans such as Aristotle seemed to have an inkling of this (Speaking of the offices which are essential to the state Aristotle writes: “Fifthly, or rather first, there must be a care of religion, which is commonly called worship.” (Politics, Bk. VII, ch. 8, 1328b 13)), but of course the rebellion of sensible nature against intellectual nature is the effect of the fall (cf. De Civitate Dei XIV), and the only one who can save us from that is Christ the King.